Among the seven largest warranty-providing industries, only a few have a consistent history of reducing warranty expense rates. Instead, most have seen their claims and accrual rates both rise and fall over the past 15 years, and a few have even seen sustained increases in their warranty costs. One week this month, we compared 100 of the largest U.S.-based warranty providers to themselves over time, looking for the biggest rises and falls in their warranty claims, accruals, and reserve fund balances. Another week, we looked at top-level warranty metrics in all 18 warranty-issuing industries, measuring the increases and decreases over the past 15 years. This week, we're looking a bit deeper into the warranty expense rates at some of those industries, determining which have cut their costs consistently and significantly, and which are just treading water. However, in last week's newsletter, we may have overpromised somewhat when we said this week's newsletter would include charts containing average claims and accrual rate data for each of the 18 industry categories. That would have required 18 charts, more than a single newsletter could handle. So instead, what we're providing this week are charts containing average claims and accrual rate data for just the seven largest industry categories, which together comprise more than 80% of the total claims activity. We'll make up the difference slowly over the course of the next few months. The first step is to gather the warranty data from the financial reports of the manufacturers, which we've done on a quarterly basis since 2003. For this week's measurements, we collected the amount of claims paid per quarter, the amount of accruals made per quarter, and the amount of product sales reported each quarter, for the 60 quarters between 2003 and 2017. We then divide claims paid and accruals made by the corresponding sales figures, to calculate a pair of percentages: the claims rate and the accrual rate. These percentage rates measure warranty expenses as a percentage of sales, rather than as an amount of money. And at least for the accrual rate, which would normally rise and fall in proportion to sales, any changes in the percentages suggest a rise or fall in product quality, reliability, or repair costs. Meanwhile, in our database, all U.S.-based manufacturers are assigned to one and only one industry category, based on the product line that dominates either their revenue or their warranty expenses. For instance, United Technologies Corp. is in the appliance and HVAC category, because of the predominance of Carrier. So is Johnson Controls, because of the predominance of its York HVAC brand. Those companies also have a significant presence in aerospace and auto parts, respectively, but for this newsletter they're both in HVAC only, even though their warranty expense data is for all their business units worldwide. Also, as we did in last week's newsletter, we are permanently separating all the automotive OEMs into large and small vehicle categories. All the heavy trucks, buses, recreational vehicles, construction equipment, and farm vehicles go into the large category. All the cars, light trucks, ATVs, golf carts, and motorcycles go into the small category. With companies that make both, the one that dominates their product line determines their category. 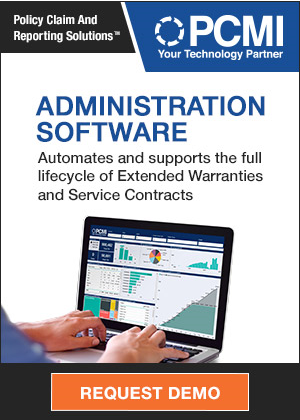 Warranty professionals love data. And all the actuaries and financial analysts love statistics. And so, along with each of the seven charts below, we're going to provide five additional data points: 1) the number of companies in that industry group, 2) the average claims rate for the group over the 60 quarters from 2003 to 2017, the 3) the standard deviation for that measurement, 4) the average accrual rate for the group, and 5) the standard deviation for that measurement. Let's begin with the small vehicle OEMs. Of course, this group is dominated by GM and Ford, but there are 22 other U.S.-based manufacturers making small vehicles and reporting warranty expenses, including companies making snowmobiles, motorcycles, electric cars, riding lawn mowers, and street sweepers. In Figure 1 we can see two spikes in the data, with the claims rate soaring in 2009 (because of the recession) and the accrual rate soaring in 2014 (because of GM's safety recalls). Besides those features, we see a pair of percentage rates gradually moving from the high end to the low end of the range over time. Over the long term, the claims rate average is 2.5% and the accrual rate average is 2.3%. The standard deviation for the claims rate is 0.3% and is 0.5% for the accrual rate, which tells us what our eyes can already conclude: there has been a lot of variation in this data over the past 15 years. At the end of 2017, small vehicle manufacturers together averaged a claims rate of 2.3% and an accrual rate of 1.8% -- somewhat below average (which is a good thing when it comes to expense rates). One reason for separating the large from the small vehicle manufacturers is the different ways they process warranty claims. With passenger cars, traditionally the OEM provides a bumper-to-bumper warranty that covers all the systems and components, including the engine and transmission. But with trucks, the engine and transmission manufacturers usually provide their warranties directly and separately to the customer. Therefore, while the manufacturers in Figure 1 must pay all the claims and then recover what they can from their suppliers, the 26 manufacturers covered by Figure 2 are not usually paying for engine or transmission claims. Instead, truck powertrain manufacturers such as Cummins and Allison Transmission are covered in Figure 3. Does this make a difference? In Figure 2, the average claims and accrual rates are both 2.1% over the 15-year period, and the standard deviation for each average is also a bit lower. There's still a recessionary spike in the claims rate during 2009, but the shape of the data is otherwise much flatter. That flatness can be seen as both good and bad. For instance, the standard deviation for the accrual rate is 0.2%, which is a mathematical way of saying that the green line is relatively unchanged over 60 quarters. That's both a sign of stability (good) and evidence there's been little progress over that time period when it comes to reducing warranty costs (not so good). However, we note that at the end of 2017, the truck and bus manufacturers had an average claims rate of 2.2% and an average accrual rate of 2.4%. That means they're only fractionally below the car manufacturers in terms of claims rates, and significantly above them in terms of accrual rates. In other words, the car manufacturer have improved themselves to the point where their average warranty expense rates are no longer far above those of the large vehicle manufacturers. The third group involved in the automotive industry includes all the suppliers. With 120 members in this group, they're more numerous than the OEMs they supply. However, as the data in Figure 3 shows, they also have radically lower warranty expense rates. Their average claims and accrual rates have been 0.6% over the past 15 years. Their standard deviation is only 0.1%, which implies more stability than is seen with the OEM charts. However, their expense rates in 2017 were up above 0.7%, suggesting they're paying more than they used to. We'll have more to say about this in a future newsletter, but it looks like this is the third year in a row where their expense rates have been trending upward. That's great news for the OEMs; not so good for the suppliers. In Figure 4, we're combining the OEMs and the suppliers into one great big group of 62 aerospace companies. The vast majority are suppliers, but as we will show in a future newsletter, the warranty expenses are divided more or less equally between the two. Their average claims and accrual rates are both 0.8%, and the standard deviations of those averages is only 0.1%. However, as the chart suggests, there has been a constant downward trend in the averages over the past 15 years, suggesting a high degree of progress when it comes to warranty cost reduction. Back in 2003 and 2004, aerospace manufacturers paid between 1.0% and 1.2% of their product revenue in warranty expenses. In 2017, they paid out less than half as much, as a percentage of revenue. There were spikes along the way as new products were introduced (for instance when the Boeing 787 Dreamliner ran into trouble in late 2012), but in general the warranty cost trend has been downwards. The ranks of U.S.-based computer manufacturers continue to thin. Although the group started out with 24 members, only eight remain active now. Still, it helps that one of those eight is the largest U.S.-based warranty provider in any industry (Apple), and two of the others are fourth and twelfth on the list (HP Inc. and Hewlett Packard Enterprise Co.). And in terms of claims paid, this industry category was second in overall size last year (behind cars and small vehicles), accounting for more than $5.4 billion in claims paid last year. As can be seen in Figure 5 below, this industry also has managed to cut its warranty expenses appreciably over the past 15 years, although perhaps not as consistently as the aerospace manufacturers. Long-term, its average claims rate is 2.7% and its average accrual rate is 2.8%. But at the end of 2017, its claims rate dipped to 1.7%, while its accrual rate landed at 2.0%. Those are also down by half from 2003 levels. As was mentioned, Apple is the most prominent member of this group. And Apple's leading product line, the iPhone, is largely responsible for the 2013 upturn in warranty expense rates and their continued volatility since then. But even Apple (in the first quarter of its new fiscal year) ended calendar 2017 with a below-average pair of claims and accrual rates, after getting its iPhone warranty costs back under control. In a future newsletter, we will provide additional segmentation for a telecom equipment industry that includes 188 different companies making everything from satellite navigation gear to television editing systems. But for now, we'll take an average of all of them to identify any top-level trends. As can be seen in Figure 6, they haven't done a very good job of reducing their warranty expenses. In fact, since 2011 they've trended upwards, although they fell somewhat in the fourth quarter of 2017. Long-term, the average claims and accrual rates are 1.4%, and the standard deviation for both is 0.2%. But that doesn't explain the overall V shape of the data. Along with the semiconductor industry group, one of the defining features of this telecom industry category is the way it's dominated by lots of smaller and medium-sized warranty providers. Besides Cisco Systems and Netgear, only two others made it onto the top 100 warranty providers that we detailed in the March 15 newsletter. Only eight others paid out more than $10 million in claims last year. That means 176 out of the 188 members of the group are what we'd	classify as small warranty providers. In fact some pay only a few thousand dollars a year in warranty claims. Finally, we have 55 manufacturers of home appliances and heating, ventilation, and air conditioning systems. Together, they paid $1.46 billion in claims past year, which was the fifth-largest industry segment of the 18 that we track. At the end of 2017, they were paying roughly one percent of their product revenue in warranty claims, which is the third-lowest claims rate of the seven segments we're spotlighting today. For the past 15 years, appliance and HVAC manufacturers have averaged warranty expense rates of 1.2%, with a standard deviation of 0.2%, for both claims and accruals. But as the data in Figure 7 suggests, there is a sort of before-and-after look to the data: before 2011 the rates were mostly above 1.2%, and after 2011 they were mostly below that average. And during 2011 itself, they were mostly at or near 1.2%. In future weeks we will take a closer look at this segment as well as building materials, not to mention the homebuilders themselves. In particular, we will be looking to see if there is a relationship between the ups and downs of the warranty expenses of the various materials and the finished products. For now, we'd suggest that while these charts each contain 60 pairs of expense rate calculations and each pair is based on dozens if not hundreds of individual measurements, the reader can tell in an instant whether the trend is up or down. The clearest cases of warranty cost-cutting are the aerospace and computer industries. There's no doubt that each group has cut their warranty expense rates in half over the past 15 years. Next behind them are the small vehicle and appliance categories, where there is a somewhat downward trend, but not as steady a slope. Then there is one that's inconclusive: trucks. That group seems to end where it started. And then there are two that are now trending higher: telecom equipment and auto parts suppliers. Going back to Figure 4 of last week's newsletter for a moment, it was clear that from 2003 to 2012 (except for the recessionary spike in 2009), average warranty expense rates for all manufacturers were declining, from roughly 1.8% in 2003 to 1.2% by 2012. Since then, there's been no clear trend, with expense rates rising as high as 1.63% and falling as low as 1.14%. In future newsletters, we will drill down even further into the data, to see what might have caused this. The simplest explanation is that manufacturers drove all the waste and inefficiency out of their warranty management processes by 2012, and we're now bouncing around the bottom. But there may be other factors at work as well. Assurant reports falling revenue and net income in 2017. PCMI named Top 10 Policy Administration Solution Provider for 2018. ServiceMaster shakeup continues following arrival of new CEO. Fortegra launches European insurance company based in Malta. Endurance Vehicle Protection partners with DealerClick. Premier Pools & Spas voids customer's warranty over negative review. Consumers complain about Seal Smart's 25-year warranty. Sears renewed old TV's extended warranty for 15 years. AppleCare+ price reduced from $99 to $69 for 9.7-inch iPads. Regulators say look at the fine print of extended warranties. JM Family's JM&A Group celebrates 40th anniversary. GWC Warranty hires Emily Dwyer as its strategic brand manager. Rick Malone joins American Auto Guardian as Southeast Regional Vice President. Auto Assure LLC sends expiring warranty letters out in Arizona. American Standard Auto Protection stops answering the phone. Lenovo notebook computer warranty expires during dispute over repairs. Q & A with Nate Baldwin, CEO of After, Inc.
EFG Companies releases results of a national consumer research study. American Guardian Warranty Services to exhibit at NADA Show. First American Financial ranked among the best workplaces in Texas. Samsung Galaxy S9 warranty: What you need to know. Expiring warranty scam reappears in Missouri. Tiptree plans to repurchase up to $20 million of its shares. Regulators in Fiji explain extended warranties. Pacific Aerospace provided parts for warranty work in North Korea. Toys R Us (Canada) continues to pay claims despite US bankruptcy. Tamko shingles, warranted for 30 years, last only 7-1/2. Assurant offers preferred shares and notes to help fund TWG acquisition. Tiptree says net earned premiums were up 24% in 2017. GWC pairs with Nicholas Financial and Westlake with AUL. Autopom lists extended warranty tips for first-time car buyers. Samsung offers same-day Galaxy phone repairs through uBreakiFix. Rhode Island bill lets auto dealers charge more for warranty work. Starr Companies puts EVP Dan Conway in charge of warranties. Safeware says online training boosts extended warranty sales. Home One and LocalFix Solutions partner for home warranty	solution. California eyes "right to repair" smartphone law. Training in how to file claims pays off in happy customers. TruNorth Warranty Programs of North America continues NASCAR sponsorship. Mercury Marine lengthens boat engine warranties to 6 yrs. Is Microsoft Complete for Surface Pro worth it? Vehicle service contract scams high on New York AG's fraud list. China's new Tianwan 3 nuclear power plant gets 2-yr warranty. New Holden Commodore gets 7-yr warranty. Toyota Australia has no plans to extend warranty beyond 3 years. Texas dealer group to promote the NIADA Certified Pre-Owned program. American Standard Auto Protection shuts down after numerous complaints. BC homeowners left with $4K bill despite having new home warranty. Used auto warranties high on Illinois AG complaint list. Matti Kurvinen chats with a warranty fraudster. Blue Bird continues to offer 7-yr warranty on Allison bus transmissions. New line of Cooper truck/bus tires have 7-yr/2-retread warranties. Gulfstream Aerospace opens Technical Operations Contact Center in Savannah. Security vendors offer warranties for their products and services. Palmer Administration Services explains different types of VSC coverage. Rush Enterprises aims RushCare platform at fleet warranty maintenance. UK consumers throw away £423m a year in warranted goods, study says. New home warranty company CBL Insurance placed into interim liquidation. SAP Warranty Management versus SAP Automotive Consulting Warranty. How to navigate the lemon law process. Honda stops selling new CR-Vs in China after recall plan rejected. Q. & A. with Kevin Rigg, strategic consultant at After, Inc.
Stone Point Capital, Karfunkels and AmTrust CEO strike deal to acquire company. Safeware lists top three causes of furniture extended warranty claims. Michigan wants new teaching degrees to come with a 2-yr warranty. APCO Holdings adds Anne Belec to its board of directors. AmTrust sells 51% stake in Amynta Group to Madison Dearborn Partners. HP lengthens LaserJet warranty from 1 to 3 yrs in South Africa. Discover credit card ends extended warranty coverage. Travelpro launches Built for a Lifetime Limited and Worry Free Warranty. Mattress Marshals extended warranty makes buyer pay $40 for inspection. Huntingburg city council hears pitch from Utility Service Partners. Medtronic recalls faulty implanted cardiac defibrillators. ACCC says Netgear misled Australian customers about repair warranties. Read the fine print when selecting a home warranty. California appeals court says CarMax has duty to reveal recalls to buyers. Which automakers have the best warranties? Sears replaces dryer after multiple unsuccessful repair attempts. 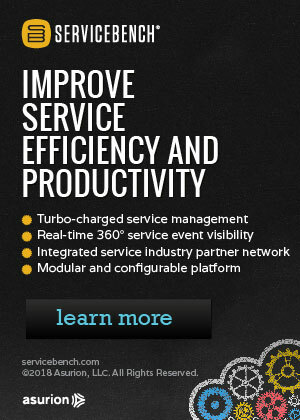 After, Inc. to highlight service contract innovation at WCM Conference. Warranty Measures: Matching warranty claims and accruals to reserves has always been a balancing act. Now it must be done in public, making it harder to conceal raids on the reserve fund or spikes in claims. But it's also easier to see how a company's quality improvements and claims reductions can translate to bottom-line gains by reducing the need for reserves. Computer OEM Warranty Report: As the industry shifts from desktops to laptops to smartphones, warranty expenses rise as the form factor shrinks. And after decades of competition, a few large players with huge warranty operations are left where once there were dozens of manufacturers.